Nobody likes being talked to rudely especially men. They are egotistical in nature and get offended very easily. If your boyfriend loves you either he will tell you that he felt bad about how rude you were but more than often he will not say anything at all so that you don’t feel bad. 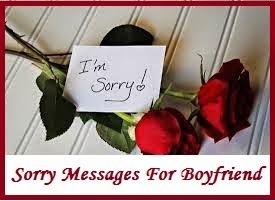 You need to say sorry if you have been rude to your boyfriend and tell him you love him. 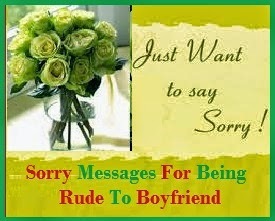 Take a look right now at the sample sorry messages for being rude to boyfriend. You know I love you right? You’re the most important thing in my life and I am so sorry I have behaved with you so badly. Let me take you out for dinner? I have just been so stressed. I wasn’t thinking clearly when we spoke the last time. I took all my anger on you and that is why I was so rude. I know it wasn’t right for me to do that. I am sorry. I was just so jealous of the other girl you hang out with. That is why I was rude to you. I am sorry! I am so immature. I mean, look at the way I was talking to you last night. I didn’t mean any of it. Please forgive me? I will make it up to you for everything! I was so scared last night after we talked. I know I had talked you rudely and I was afraid you will leave me. Please don’t go away? I will never do it again. I love you so much! I can be so stubborn sometimes. I fail to see the other person’s point of view. And I know, whatever I said, it was really insensitive and I apologize to you for everything. Please talk to me soon? I am sorry. It may have taken me so much time to realize how important you are to me in my life but I would take even a short moment to tell you how sorry I am for behaving rudely with you. Please forgive me. Baby, I know I have been bad to you. Would you let me do something special for you? You will not be disappointed! You can take your relationship to a whole new level by saying sorry to your boyfriend and making him forgive you for your mistake. Apologize to him in such a way that he has no choice to let all the anger go and take you in his arms. 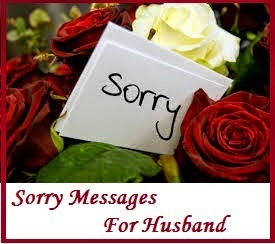 Hard though it may seem it is important to know that sometimes a sorry can salvage a relationship.Here is an amazing collection of I am sorry messages for boyfriend to choose from that can indeed make it easier for you to apologise. I am sorry for going through your messages but what can I do when I have the most handsome guy in the world as my boyfriend. I am bound to feel slightly jealous of other girls. I am sorry baby. Before I even say sorry I want you to feel my heart, it only beats for you. Please forgive me for what I have done. I never wanted to hurt you but destiny made it that way that I hurt you unintentionally. Sorry. Whenever you forgive you look like the sexiest guy on this planet. Forgive me this time and find out for yourself. I wish I was a singer so that I could write you and sing to you about how sorry I am. 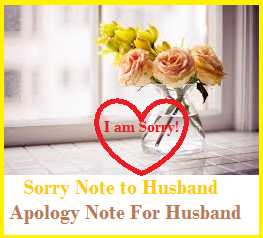 But since I am not, please accept my simple apology. I am sorry. You are the best boyfriend in the whole world because you are so loving, caring and forgiving. Please forgive me baby, I won’t do it ever again. When you decided to go away that’s when I realized how important you are to me. Please come back, I am sorry. Hurting you is the worst thing I ever did. Tell me how I can make it up to you. I am sorry for being so childish. Please forgive me! I can never forgive myself for what I did to you, but I hope that you will forgive me and take me back. I am sorry honey. I have messed and I know it. But please give me another chance, I really want you in my life. I am sorry. If I could turn back time I would not have said the things I said to you. I am really sorry about the last evening. I just could not control my anger. Sorry sweetheart. I am sorry for blaming you for things that you did not even do. I am sorry for hurting you like this. I really love you dear, please please forgive me. We’ve been together for so long. I hope you understand when I make a mistake. You are important to me. That’s why I am saying sorry. I’m really sorry for the nasty turn of events. Forget about who’s right and who’s wrong. I want to be the first one to say sorry and kiss and make-up. I’m ususally the dominating one. But this time, it’s my bad. I’m really sorry. If ever a sorry can mean so much to one person. It’s this. It means a lot to me because I realise that I’ve been wrrong all along. It was a misunderstanding. And I’m sorry. That’s all I can say right now. Sorry. I’m sorry. Can we be friends again? I miss you. Ok you win. I’m sorry sweetheart! I’m really sorry for putting you in an embarrassing situation. Can you forgive me one last time? I know I caused you a lot of hurt. I am so sorry. These past few weeks I’ve been inconsiderate and totally disgusting. Will you please be your usual tolerant self and forgive me? I know I’ve been a complete fool and I’m sorry for it. Sometimes you don’t mean to hurt a person who is so close to you but you end up hurting him nevertheless. These were just words until it happened to me. And it feels so bad to know that you caused so much grief to the one you love so dearly. I am so sorry. Please forgive me. I can’t see you going so far from me. Please come back. I’m really sorry. I know I’m the difficult one and this time I’ve been really crazy. I’m sorry for all the trouble I caused. All I want to say is that I’m very sorry and that it won’t happen again. I know you think I’m silly and immature but I want you to know that I’m matured enough to say sorry when I’ve hurt someone. So here I am saying sorry to you. I hope you don’t think I’m being childish again? I think it’s the most serious thing I’ve ever done ever since I said I love you to you. 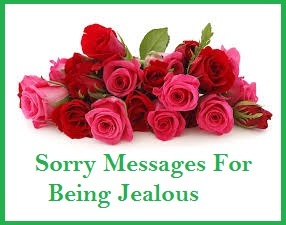 I am sorry I was not able to attend your regional basketball competition last Sunday. I am really sorry honey, I know that this competition is important to you. 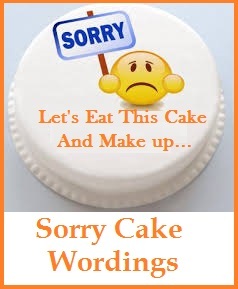 I am sorry that I have been insensitive lately about your feelings, I did not intended to hurt your feelings. When I told you about academic achievements I was referring to an old friend. I am proud of you and whatever achievements you have is part of what I love to you. This relationship is important to me and hopefully with you. Let us talk about our differences , I am sorry for whatever shortcomings in our relationship and I am willing to be better for you. I am sorry I am late again for two hours, I overslept last night. I know that there is no good excuse for being late . I have been late in our dates and I know that I have to work on my time. Please be more patient with me and I will do my best next time. I am missing you already baby, I hope you forgive me about what happened. The guy that you saw with me was an old schoolmate. He was persistent to have a simple chat with me in a restaurant. Sorry I did not told you at once about it. I apologize for what happened, I can feel the distance between us. Let us make-up and talk about it. Things happened so fast, I know you are hurting but what I feel is twice the hurt as yours. I have been childish and foolish yesterday. Please forgive me Hon. I love you! I know you are hurtin’. I will give you some space and time to think these things. But I want you to know that I am really sorry for the words I said. I love your honey. You are a computer geek so I would like to say sorry with your language.. Please do not shut me down and can we reboot or restart our relationship. I cannot bear this feeling anymore, I hope we can talk soon. 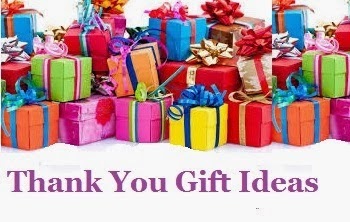 I will try my best to take actions for what I have done and prove to you that I am sincere to win you back. I sounded like I am nagging, I did not expected that you will be pissed off. I am sorry love. There are mistakes that we do not like to happened, but it does. I would like to know that I am really sorry I hope things will be better for you and me. The last thing that I would do is to hurt you. But now, if I could turn back the time I will go back. You are hurting because of me, I love you dear I hope you believe me. I am sorry. I easily got mad at you and I was not able to control my anger. I am really sorry for my behavior. I should have not reacted that way. I am sorry babe. I am sorry for the harsh words I told you. I did not mean to hurt you, my tongue is sharp sometimes. I hope you forgive me as soon as possible because I cannot take it for another day without you. I became immature for what I have done, I know it was my fault. Please come back to me. I am really sorry. I was trying to call many times but you did not answer. I also left messages in your inbox, but you never replied. Is this the end for our relationship? I cannot sleep anymore, please forgive me honey. Please talk to me and fix our relationship. I am sorry honey. I know my mistake is like a virus that inflicted into our relationship. I hope it has anti-virus installed, but unfortunately it happened already. I hope I can easily click undo or press the backspace. Please do not shutdown your love to me. Can we reboot and restart all over again. Please forgive me my love. 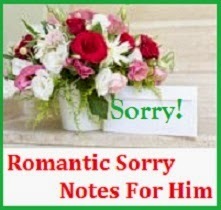 I am sorry I did not mean to hurt your ego last night, you are the love of my life and my happiness. I hope you understand my failures in our relationship. I love you and please forgive me.